Gosh, has it really been a year? And yet, simultaneously, has it only been a year?It’s hard to believe that it was over a year ago when I was making bacon toffee cookie bars in my kitchen and had the epiphany moment. I decided then, fingers covered in dough, house smelling of pork products, that I wanted to write a cookbook. But as a home cook I didn’t know the first thing about writing a cookbook. I’m no chef, just some girl who likes to make food things who grew up in a household with people who like to make food things, who descended from a long line of people who like to make food things. So I decided to write a blog to first whip both my brain and my kitchen into thinking outside of the recipe box. I woke up in the middle of the night with the thought that this all had to happen NOW, bought the URL at 2am and registered both the Blogger and WordPress user-names. My friend Kathryn, a classically trained chef, was unemployed at the time and offered her partnership services. And thus, Bacon & Other Bad Habits was born. In the past year many things have changed. I’ve been trying to get into better shape and so my cooking has taken on a new approach of how to eat healthy but not give up on taste or things I like to eat. I hope I’ve succeeded in this. I’ve forced myself to branch out from standards and family favorites and figure out how to cook new ingredients and use new preparations for everyday items. I started getting my vegetables from a farm to help challenge me and introduce me to new produce. But other things have changed too. Kathryn started teaching at a culinary school and working as a personal chef and had less time to devote to my pet project. As such, she stopped blogging in February. She is also almost eight months pregnant as I write this; a delightful new critter is about to enter her world. 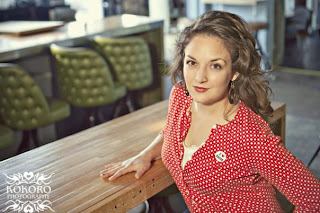 I am very proud of my friend and former contributor and happy that her pushing and partnership are why this blog exists to begin with. I’m equally happy that she now has a pet project of her own–a baby! Thanks for reading Bacon & Other Bad Habits. For “liking” it on Facebook. For re-tweeting the tweets. And more importantly, for telling your friends and family about the site. And for cooking the recipes and providing so much excellent feedback about what you want to see more of. Now, if I only had time to focus on that cookbook…I suppose that’s all in due time, all in due time. 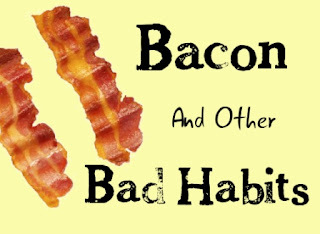 Happy birthday Bacon & Other Bad Habits, here’s to another great year! 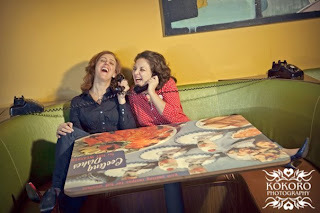 about us, Kathryn Furman, leah charney, younique eats. Bookmark the permalink. Post a comment or leave a trackback: Trackback URL.